Use of energy-based devices to treat acne is a well-established practice, despite variations in reported efficacy between devices or operators. Recently FDA-cleared for use in the treatment of acne, Sebacia Microparticles are intended to enhance the outcomes of energy-based interventions for acne using the 1064nm laser. Sebacia Microparticles selectively target the sebaceous glands where they facilitate photothermal heating of the glands for the improvement of mild to moderate inflammatory acne vulgaris. 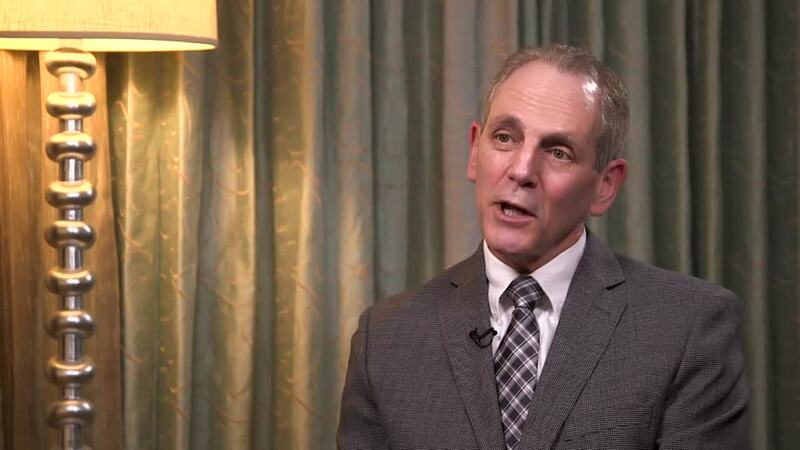 “Historically there have been three different strategies for using energy-based devices to help clear or reduce acne,” observes Ted Lain, MD. Sebacia Microparticles offer a new, fourth approach. The microparticles consist of a silica-coated gold core. 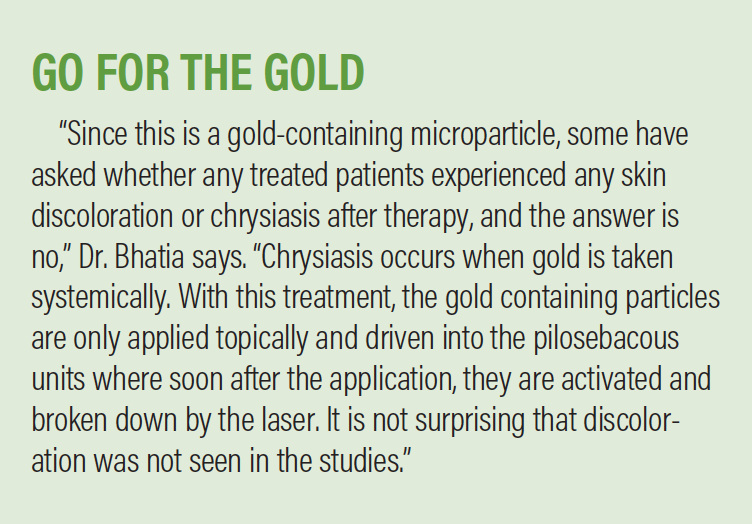 “The microparticles are specifically tuned to be activated by laser light from a 1064nm Nd:YAG laser, which is commonly found in most dermatology practices, where it is used for hair removal and other applications,” says Ashish Bhatia, MD. 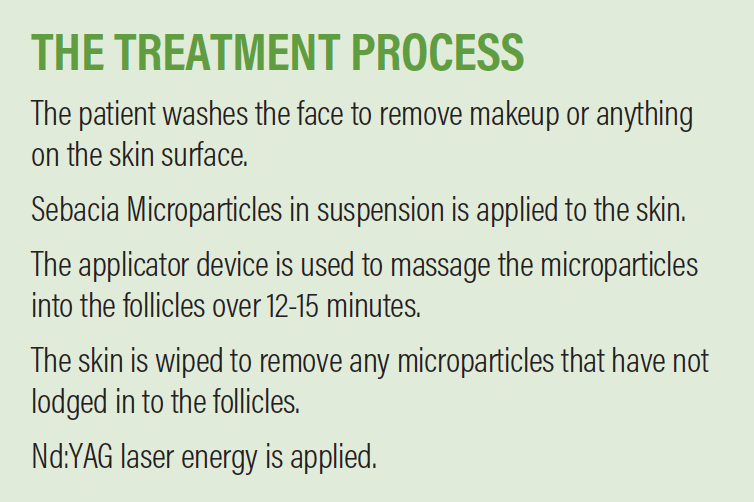 The microparticles are applied during a 10- to 12-minute process using a massaging device. Heating of the microparticles is achieved using an Nd:YAG laser at a low fluence. The result is selective thermal injury in the pilosebaceous unit, where the microparticles are located. “We know the common mechanism of all types of acne really occurs in the pilosebaceous unit, when the follicle gets plugged and inflamed. By causing selective thermal damage of the sebaceous glands and pilosebaceous unit, we can significantly improve acne,” Dr. Bhatia observes. Each treatment session takes about 30 minutes, from the initial prep to the completion of laser application. There is no pain or discomfort, but redness after treatment is typical. “Post-treatment swelling is variable, but redness is universal but temporary. The redness usually lasts for less than half an hour and resolves on its own. Swelling can last a little bit longer, maybe a couple of hours,” Dr. Lain says. He notes that swelling does not persist beyond the day of treatment. 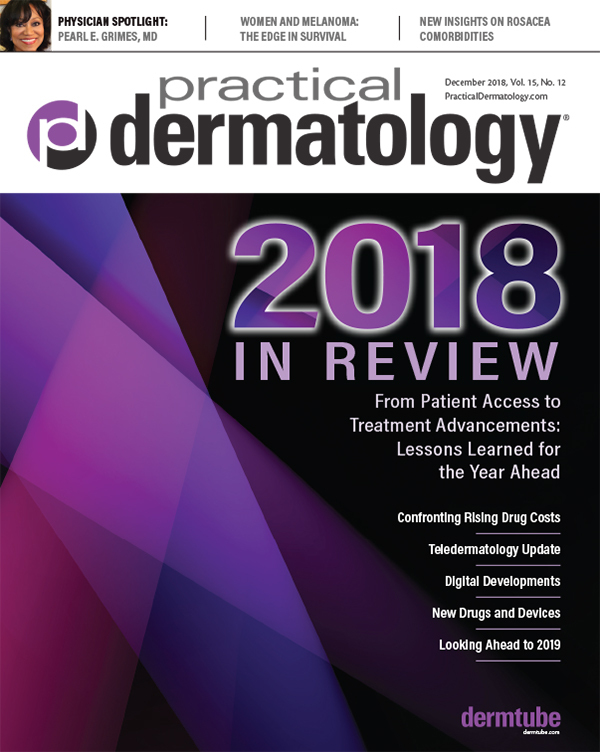 In a US randomized, controlled, blinded trial evaluating 168 patients with mild to moderate acne, Sebacia Microparticles treatment was associated with a 53 percent median reduction in inflammatory lesion count (ILC), compared to a 45 percent median reduction in ILC achieved with the laser treatment alone. 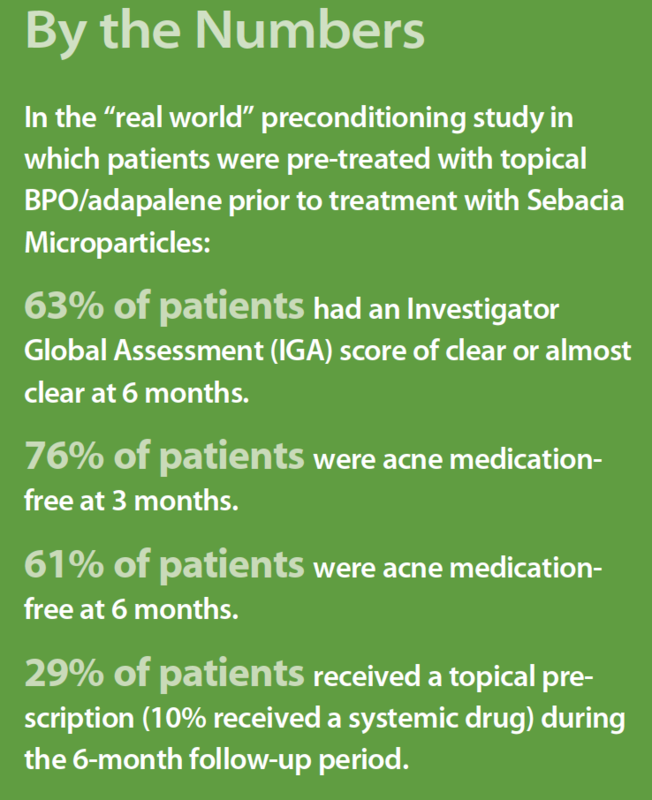 Additionally, 30 percent of patients treated with Sebacia Microparticles achieved a clear or almost clear IGA score (Investigator's Global Assessment of acne severity). Reported adverse events, regardless of study treatment, were of mild to moderate intensity. There were no severe adverse events, nor were there any serious and/or unanticipated adverse events related to study treatment. Similarly promising are results of an ongoing single-arm registry study conducted at nine practices in Europe. Dr. Bhatia presented interim data from this study at the Annual Meeting of the American Society for Dermatologic Surgery this fall. The study is evaluating the impact of a short two- to four-week skin pre-conditioning period of daily topical application of a gel containing 0.1% adapalene and 2.5% benzoyl peroxide (BPO) to help clear the pores and facilitate penetration of the Sebacia Microparticles. Patients are then administered three weekly in-office treatments using Sebacia Microparticles. At three months (n=71), the mean acne ILC improvement from baseline was 66 percent and at six months it was 79 percent from baseline. Historically-reported ILC reduction for microparticle treatment without pre-conditioning is 49 percent at three months and 65 percent at six months. 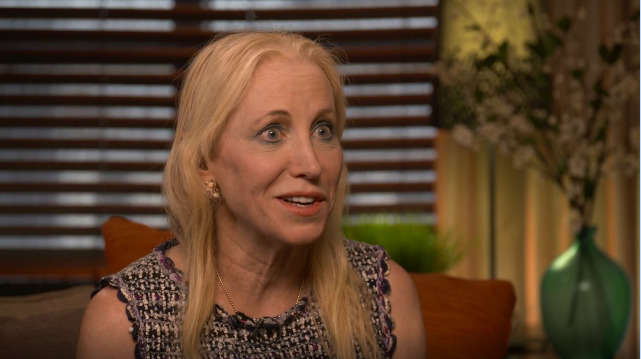 The study was designed to evaluate the extent to which subjects would use systemic therapies following a course of microparticle treatments as well as to compare outcomes for those who pretreated with BPO and retinoids to those who did not, Dr. Bhatia says. “We learned two things,” Dr. Bhatia says. “One was that if patients did precondition with the BPO and retinoids, they had a faster response to the treatment and they had a bigger percentage reduction in their lesion counts. We know from other studies that when you precondition or when you use retinoids and BPO, it helps clear the debris out of the pores, which facilitates delivery of the gold microparticles into more of the pores. The findings also suggest that patients may safely re-initiate topical acne treatment immediately after microparticle treatment, if they so desire, Dr. Bhatia notes. Patients who are already motivated to manage their acne, therefore, may continue to be active in their own care. Regarding the accumulated data for Sebacia Microparticles, Dr. Lain says he is most impressed by the long-term improvement in acne. “What was surprising to me was the data that showed the continued improvement weeks to months after the laser procedures had been performed, meaning that truly there was a substantial decrease in the activity of the sebaceous glands, such that we could affect the severity of acne for at least the short to medium timeframe after the procedure.” He says he looks forward to data for an even longer timeframe. The trials included both adult and adolescent subjects, and Dr. Lain notes he is “very comfortable using Sebacia Microparticles in those age groups.” He adds that adolescents may require a bit more “coaching” about the nature of laser procedures, as the concept may not be as familiar to them.